Do you ever get that feeling where your so bored that you think what the point is in everything? Well I do once in a while and its quite depressing, but it does make you think about life from a different point of view. I guess that's why people don't like to talk about death and other taboo subjects for this very reason. There are many ways you can think about the world and everything in it. That is if your brave enough. You could say that life is the worst but also the best illness because everyone dies eventually otherwise it's not life. Or that wishing cancer didn't exist was a stupid idea because everyone has to die in some way or another and if all known cancers were cured there would always be something else to worry about. Poverty. Its a very vague word. World hunger, homelessness and illness all come into this category. To cure world poverty is impossible. We cure one problem and create another. We save people in Africa and have the overpopulation issues where know one has enough space. I'm not saying they deserve to die but that is part of life. Hard decisions. Without the bad stuff there would be no good stuff. Its so strange how everyone suddenly went vampire and twilight mad. Love em or hate em everyone had an opinion about it. I mean vampires have been around for ages with stories of Dracula and people turning into bats around every corner it is hard to get away from it. to me i only read the first book of the twilight saga and found it quite good but to me nothing extra special. I do like supernatural stuff because theirs that mystery to it that I think everyone craves one way or another.There have been close to real vampires throughout history. One of the first was a Hungarian ruler called Vlad the impaler who as you can guess was famous for impaling thousands of people. He was so influential (not in a good way) that is believed that the famous book "Dracula" was based on Vlad. There wasn't just male "vampires" one of the most famous females vampires was a woman called Elizabeth Bathory, she was said to have murdered over 700 young girls. She believed that blood would make her immortal and youthful and was known to have blood showers where young girls were hung in cages above and bled to death so the blood would fall down like a shower which she would bathe in. So why are vampires now so commonly put in love stories when history of these mythical beasts so brutal? I just picked my GCSEs recently, art, music, philosophy and ethics GCSEs and BTEC performing arts. There is always such a fuss about what to choose. one decision that could change your future forever. But what if it was the wrong choice and there is no way of going back, I mean that's quite a lot of pressure for a young person to cope with. Then you have to worry about what others think of your decision and if its ok with them, teachers always say not to follow your friends or what your family want you to do but its natural, we follow other people to make us feel safe. Its like asking its like asking an elephant to jump. Never going to happen. Its worrying thinking about your future and where you will be in 10 years time because you don't know. its all very well others talking about it and saying it will be fine but its you who has to live through it not them and sometimes that can be hard knowing which path to take. That's the thing i like about art, there is no wrong way of making it. that's why i think it's a bit stupid to have an exam on it. Same with music and drama. They are not things you have to do but things you do because you have something to bring to the world or to show people or just to be noticed for being you. You have all these celebrities who do all this amazing stuff like songs you can really relate to or inspiring performances of work they have interpreted in there own way, but how do you know there isn't someone in the background writing all the amazing songs we hear on the radio or the moving sketches that make you feel a certain way are written by people in the background. The real geniuses. They have the mental stability to stay calm and let someone else take the credit for something they didn't do even though they didn't lift a finger. Its better now though. People who work their buts off getting the credit they deserve, the real role models who we should be looking up to, the ones who make you feel a certain way about something. 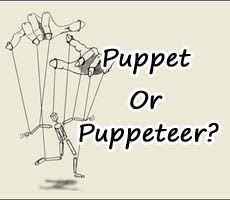 Celebrities are like the puppets being controlled by the puppeteers in the background that know body sees. Who am I kidding I started it because I was bored one Sunday. Although changing the world would be great too, but when someone says they want to change the world how do they decide what to change? and do they mean to change it in a good way or a bad way? Their's so many things you could change about the world but half of them are near to impossible like death, anger, jealousy and what we look like. Out of everything there have been countless times where someone has tried to change the way everyone looks or what they believe in. For instance the most obvious ones would be Hitler and trying to make everyone look like a 'typical' German or Osama bin Laden and al-Qaeda trying to prevent Islam from dying out,well that's what they think. There are so many worthy causes out there like poverty, cruelty and helplessness ( people who need help but aren't getting it) but they are never going to be fully conquered if you think about it. There are over 7 billion people on this one planet and not everyone is going to be happy at the same time. That's why i think its lovely when you hear about a nice small little thing that reminds you of humanity and that people have compassion. Have a look at this video. Simple template. Template images by latex. Powered by Blogger.